Before we get started I just want to let you know that when it comes to me cooking, I'm lazy and I rarely follow the recipe. This is no exception. 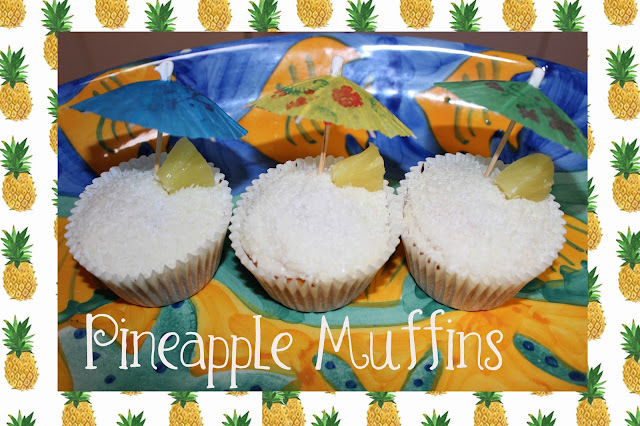 I was loosely following the Pineapple Muffin recipe on allrecipes.com HERE. 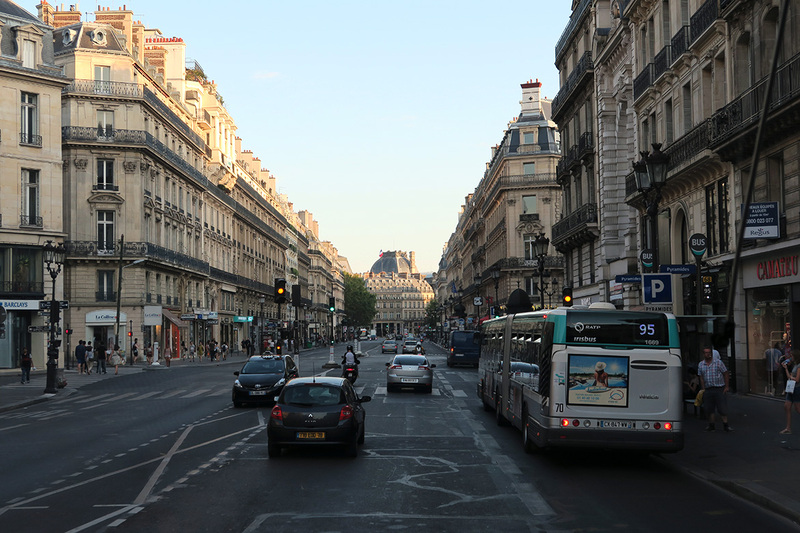 I also have some additional changes written at the bottom of the blog post. 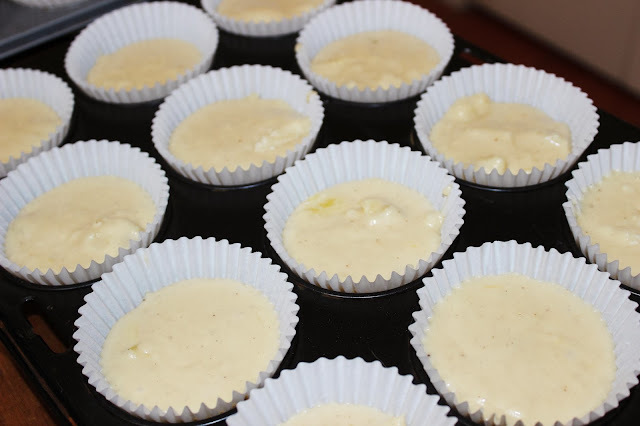 Step 1: Preheat oven to 160 degrees Celsius and line muffin tray with muffin patties. Step 2: In a large bowl, stir together flour, white sugar, baking powder and salt. 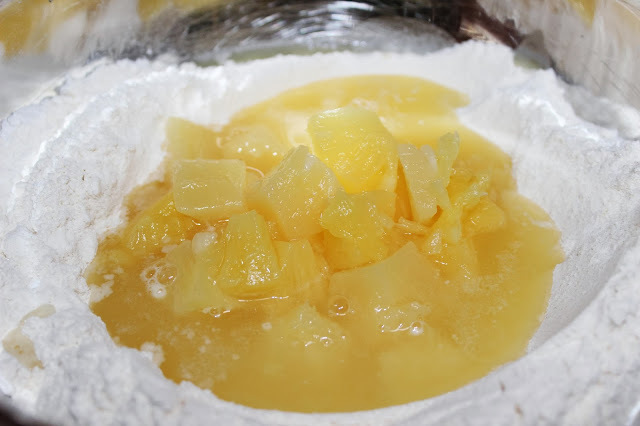 Make a well in the centre of the dry ingredients, and pour in the tinned pineapple, egg, milk, cinnamon and melted butter. Step 3: Spoon mixture into muffin patties and cook for 30 minutes. 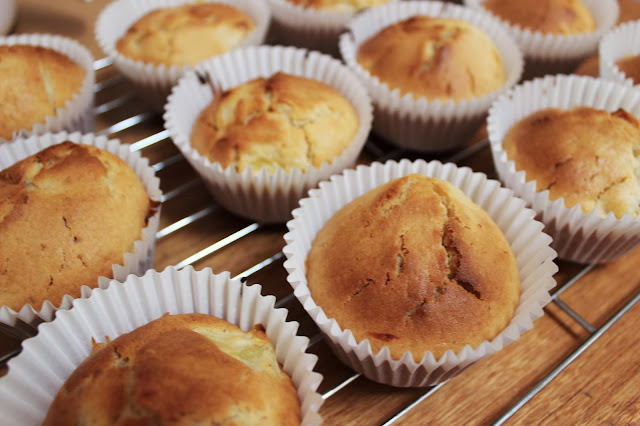 Step 4: When the muffins are cooked, take out of the tray and leave to cool. 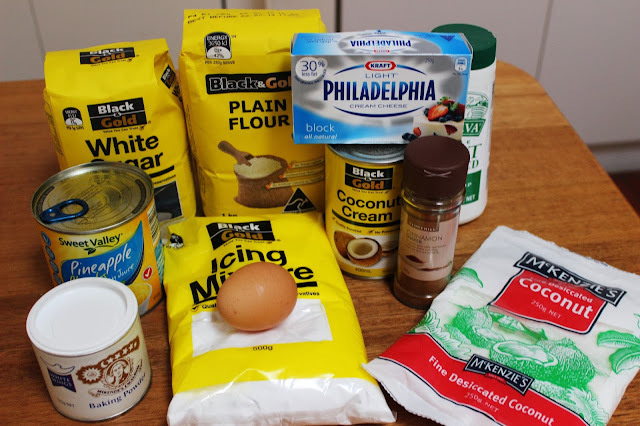 Step 5: Add icing sugar, desiccated coconut, coconut milk/cream/flavour and cream cheese into a bowl and mix until you have the desired amount and consistency. This may change depending on how much icing you want. 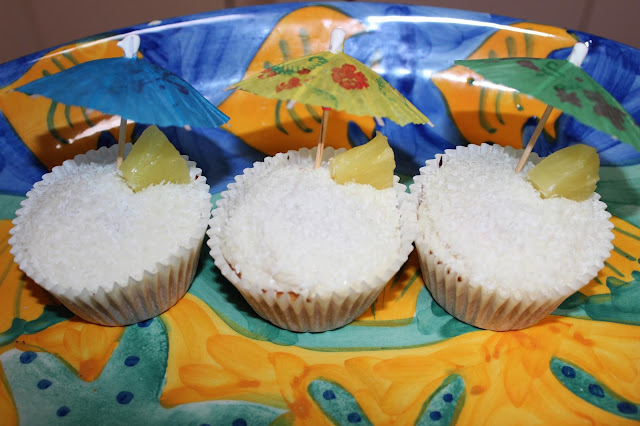 Step 7: Dip iced muffins in a bowl of coconut, add an extra piece of pineapple and an umbrella for a garnish! 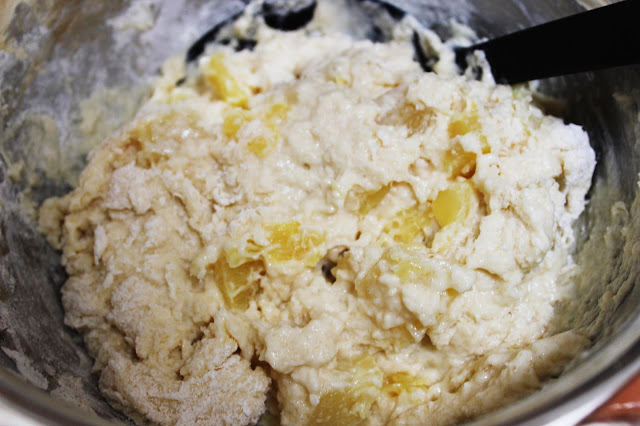 Changed I would make to this recipe are 1 cup of self raising flour and 1 cup of plain flour. More pineapple (excluding the juice). 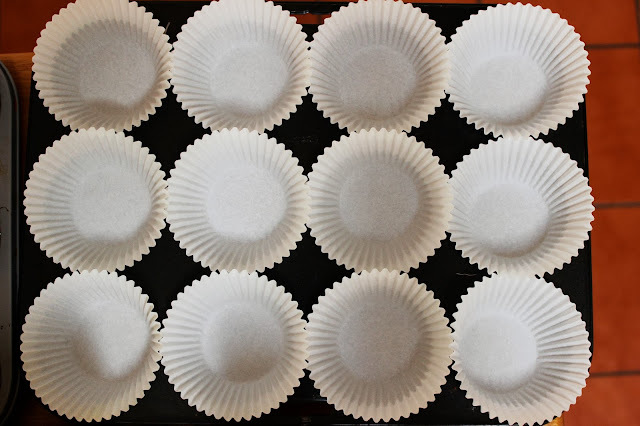 Smaller muffin patties to make more.